Elysa, a development specialist and Stephen an electrician were science partners in high school and the rest is history! Eight years later they were married. 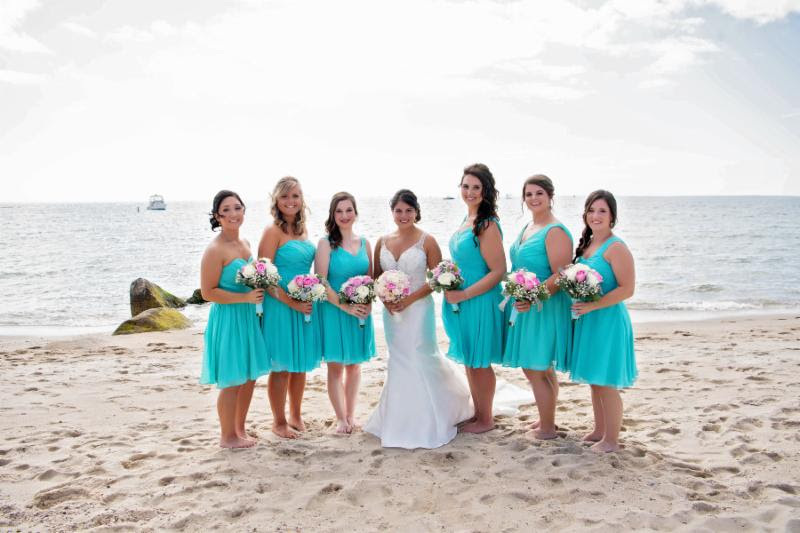 The wedding day theme was “Cape Cod” and their colors were spa blue and pink. The Sea Crest Beach Resort provided the perfect background. Elysa loved their cake which they designed with Montilio’s Bakery. The creative couple made their own “Guest Sign” with the silhouette of Cape Cod, a sandbox with sand dollar place cards, and mini beach chairs that held the table numbers.